One more quick hit for my spree of Pokemania; I thought I would show off my collection of Eevee Legacy plushes. These gaffers retailed at $25 each upon launch, with one being released every month. 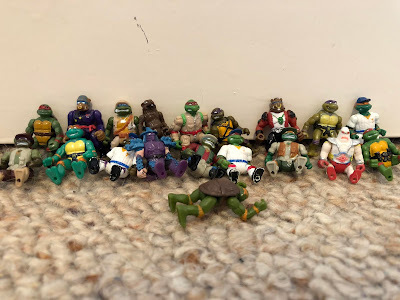 Considering their size and quality, that's actually a pretty good price - I was able to nab them at $20 apiece, but that's neither here nor there. Eventually they got down to clearance prices of about $9 each, which is absolutely mental, but by then it was just a few lonely Leafeons whose cherubic smile belied their internal misery. 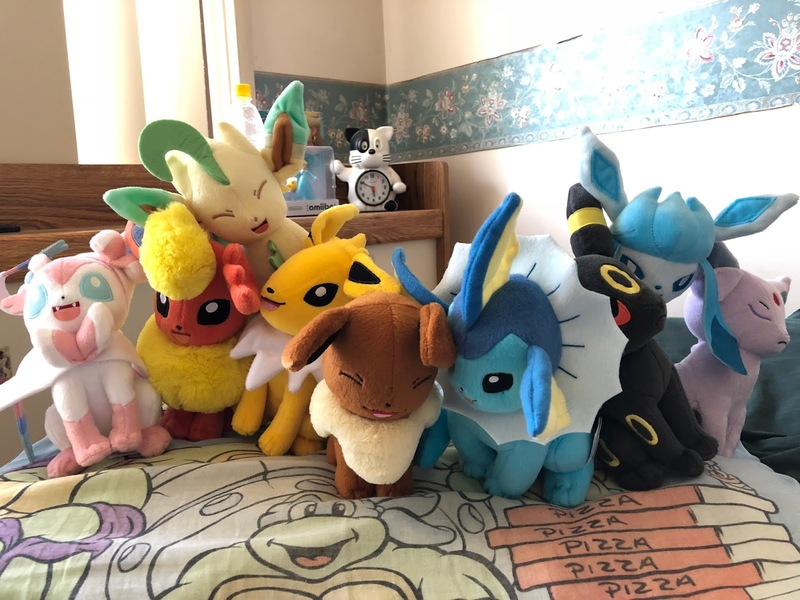 I have this weird obsession with collecting a full set, so once I ventured down the dark path of buying Vaporeon, I eventually knew I had to see the journey through. Which will be great until they inevitably unveil a new Eeveelution and I have to start all over again. Also in this photo: a Ninja Turtles pillowcase I have had all my life and can't bear to part with, a sun-bleached fully packaged Rosalina amiibo and my cat alarm clock that used to annoy the whole household. The joys of visiting dad's place!